A wait-list has been created and any cancellations will be filled on a first come, first served basis. Stay tuned to MUCC & HERC for announcements on future chainsaw safety training courses! 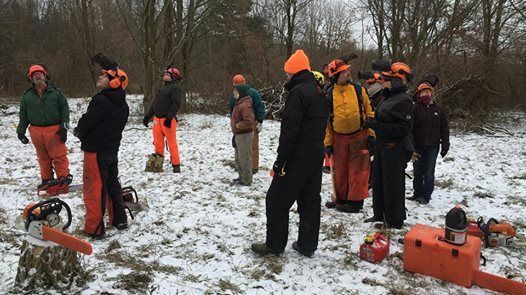 On Saturday, March 30 and Sunday, March 31, 2019 from 8am – 5pm both days, Michigan United Conservation Clubs OTG Program and the Heavy Equipment Response Coalition (HERC) will be hosting a Chainsaw Safety Training program at the Rose Lake Shooting Range inside the Glassen building. This is designed for all experience levels, from beginner to advanced. There is no fee for the course, but donations to HERC are welcome! HERC is a 501(c)(3) nonprofit disaster relief organization and volunteers their time to assist with this training course. Topics covered will include basic saw safety, Personal Protective Equipment (PPE), saw anatomy, starting procedure, hazard analysis, problem-solving, etc. 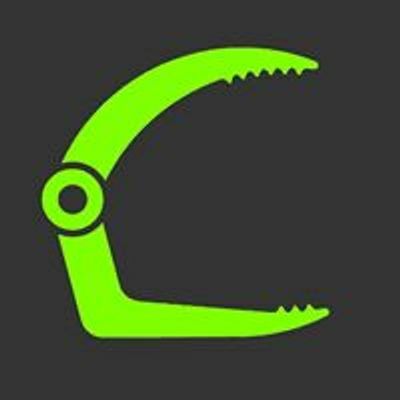 There will be a field session on each day to practice cutting techniques from bucking to technical felling cuts; groups will be split up based on experience levels. Attendees must be 18+ years old, and registration is limited to 25 participants. Due to the high interest in this event, it is recommended that you register as soon as possible. A wait list will be formed in case of cancellation, and those waiting will be notified in such case. 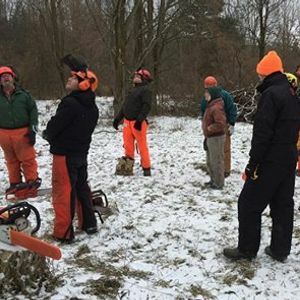 Participants are encouraged to bring their saw, PPE gear, and any maintenance items, however these are not necessary and a limited number will be provided for use at the event. In addition, lunch and water will be provided both days for everyone. Click the ticket link for more information and to register for the event. After registration, you will receive an email from MUCC with a pre-course self-evaluation. It is vital that all participants fill out this evaluation and return it no later than 48 hours after receiving it. This helps the instructors gain a better understanding of each person’s unique experience and exposure to the topics at hand.